These days breaking into the fashion industry as an accessory brand is a tough sell. New handbag brands are a dime a dozen, which makes the storied success of Mansur Gavriel all the more inspiring. 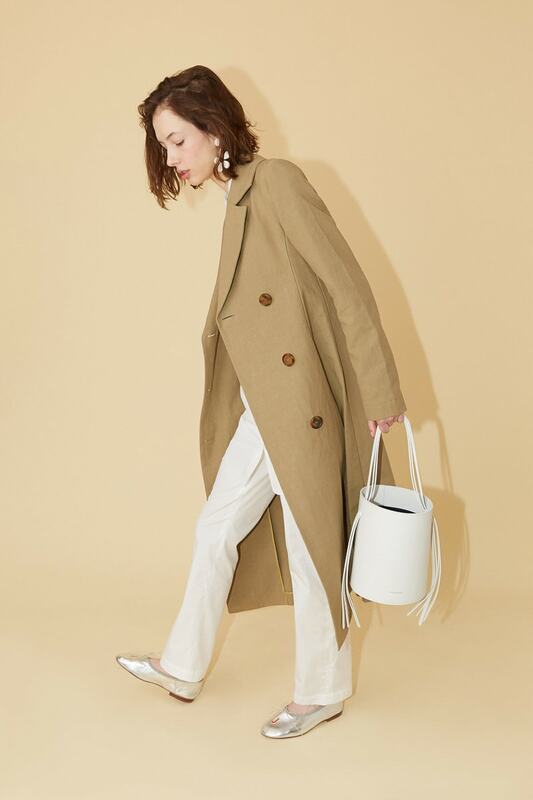 Not only has the brand expanded its handbag offerings from a few select styles, but also Mansur Gavriel has dipped its toes even further into the fashion pond by expanding into RTW and shoes. A few seasons ago Mansur Gavriel helped pioneer the see-now, buy now approach at NYFW, which has since been adopted by other brands as well. 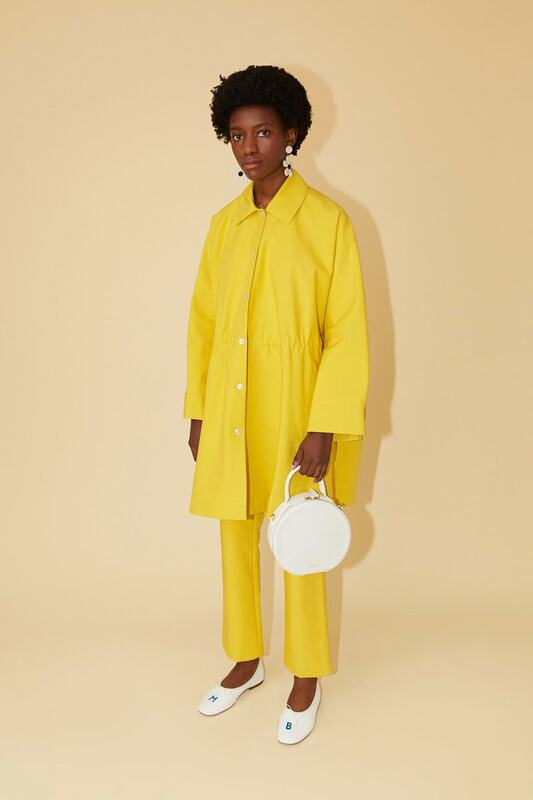 This means that though other designers are debuting Fall 2019 bags, Mansur Gavriel is giving us the first look at its Spring 2019 bags. The best part is that they are all available to shop right now. 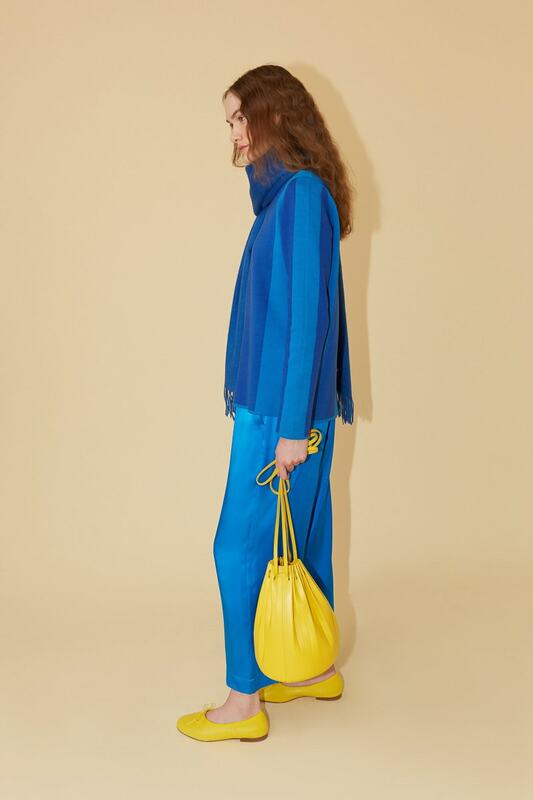 This collection plays on successes of the past, but most notably, Mansur Gavriel's Spring 2019 bags showcase the brand's relatively new service, which allows hand-painted customization. The newest bag in the Mansur Gavriel lineup is a hand pleated vegetable tanned bucket bag. The details are super-simple but the the overall look is a stunning, unique bucket bag which catches the eye. 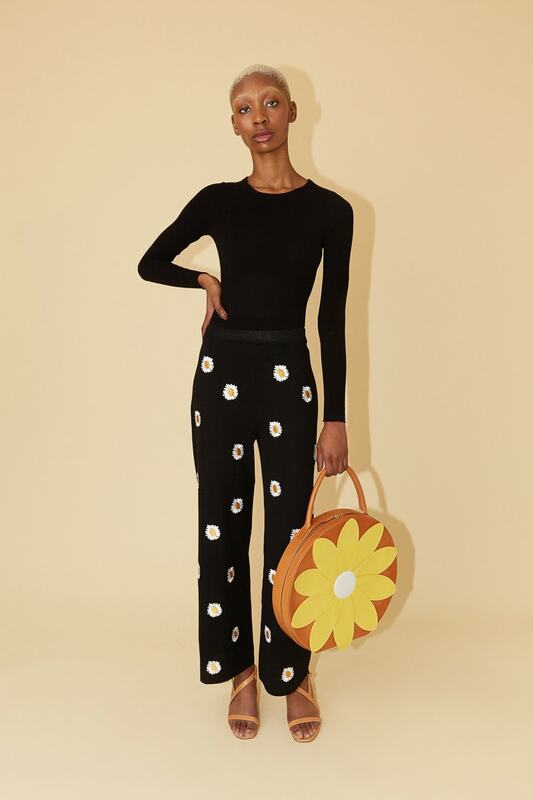 View photos from the brand's presention below or shop the entire collection now via Mansur Gavriel.